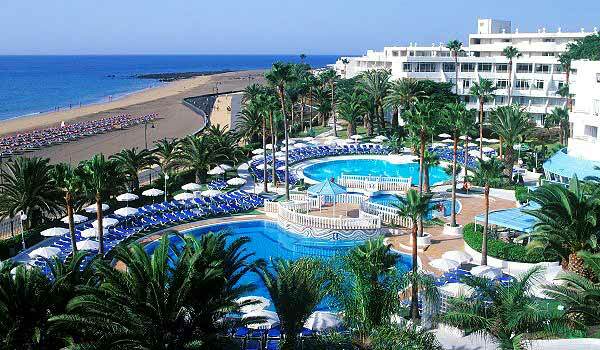 The Sol Lanzarote hotel offers a peaceful beachfront location in Matagorda, next to Puerto del Carmen with plenty of entertainment and activities, just perfect for families. The 117 suites and rooms with 5 accessible units are comfortably furnished and fitted a direct dial telephone, satellite/ cable TV, a stereo, internet access, a minibar/ fridge, a double bed, a hire safe and a balcony or terrace. 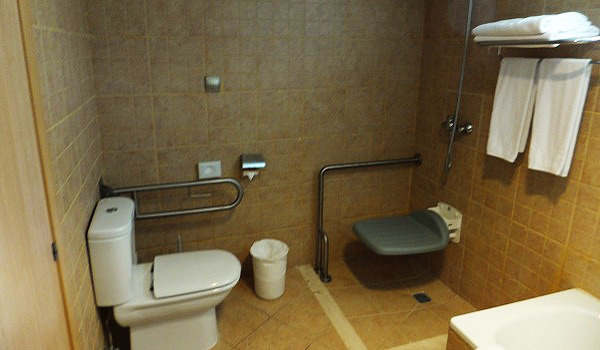 The bathroom from the 5 accessible units consists of a wheel-in-shower, toilet with grab rails and hairdryer. 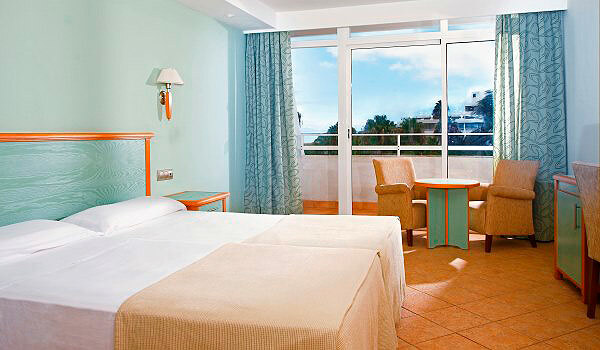 The apartments are also furnished with a separate bedroom and a kitchenette (not wheelchair accessible). Guests are offered a buffet breakfast and dinner. 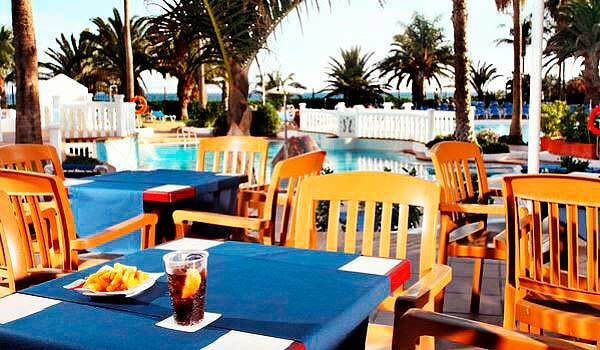 At midday and in the evenings, guests may also select dishes from the menu or the all inclusive option. 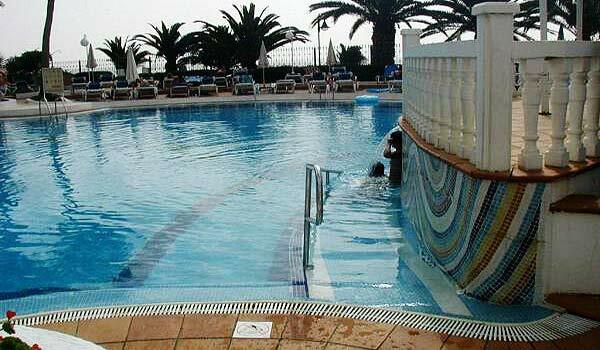 Guests are offered use of the pool (through ramps), snack bar, sun loungers and parasols. The hotel offers opportunities to participate in aerobics sessions, archery, table tennis, beach volleyball, tennis, bocce, pool and bowling (some of which demand an additional fee). Outside the grounds, guests may take advantage of the diving opportunities. 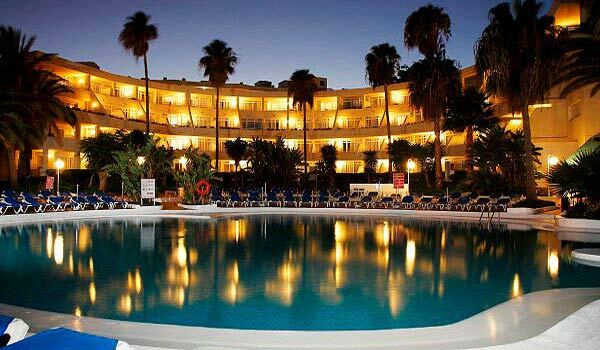 The hotel also offers an entertainment program to ensure that guests never experience a dull moment. Home and medical care can be arranged. Amazing experiments with the heat of the volcanoes and spectacular scenery on the coach tour in the park. Also part of the 7Km lava-tunnel of Monte Corona, these caves were once used to hide from slave-hunters and pirates. The island´s most famous son created his living-space within 5 volcanic bubbles. The house is now a museum, and is a rare oasis of tranquility. these water-caves, home to the blind albino crab, are a true jewel. Also the “House of the Volcanoes”, where you can see active volcano-studies, is found here. “Valley of the thousand Palm Trees”. Lunch-option in a beautifully restored farm with typically Canarian food. The island´s highest point offers unique views of Lanzarote all the way to Fuerteventura. Although there is a lot to see there will be enough time to fully appreciate each sight. Probably the island´s most famous site as it is featured in many films. It´s breathtaking beauty makes a unique photo stop, not to mention the semi-precious stone Olivina that is found on the shores of this Green Crater lagoon. An awesome struggle between lava and sea has shaped this incredible coastline where walkways and balconies were built to get you as close as possible. Salt is an important part of the island´s past but these salt beds still are fully operative. Try a free sample of local wine from the most unusual vineyards.